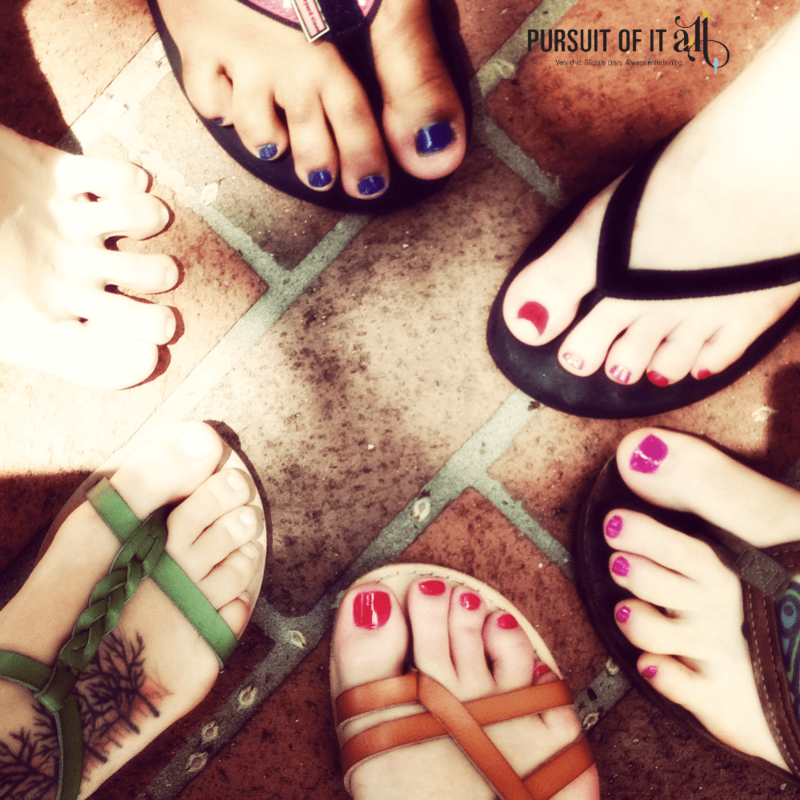 There are certain life events that constitute coordinating a girls’ weekend. Celebrating that a best friend’s getting married is most certainly at the top of that list. “Just because” also qualifies for a spot towards the top, in case you’re wondering. My sister got married to a terrific guy last year (with an equally terrific family). In addition to being funny, smart, and really good at entertaining my youngest, he also has a good soul – as indicated by a couple of years spent serving in the Peace Corps in Morocco. He and my sister became farmers together post-Peace Corps, and he’s an urban farmer now, just like my sister (you can read more about that here). All of that to say, their upcoming wedding was definitely something to celebrate with a handful of my sister’s best girlfriends (and me)! We all live in the DC Metro area, and none of us wanted to spend an arm and a leg traveling somewhere that required airfare. Plus, there are SO many cool places to visit within two hours of just about anywhere in Frederick – the mountains, the beach, and a number of cities. So, we decided on a Georgetown weekend getaway! Georgetown is such a cute place, rich with historic architecture and overflowing with great restaurants, and incredible shopping. 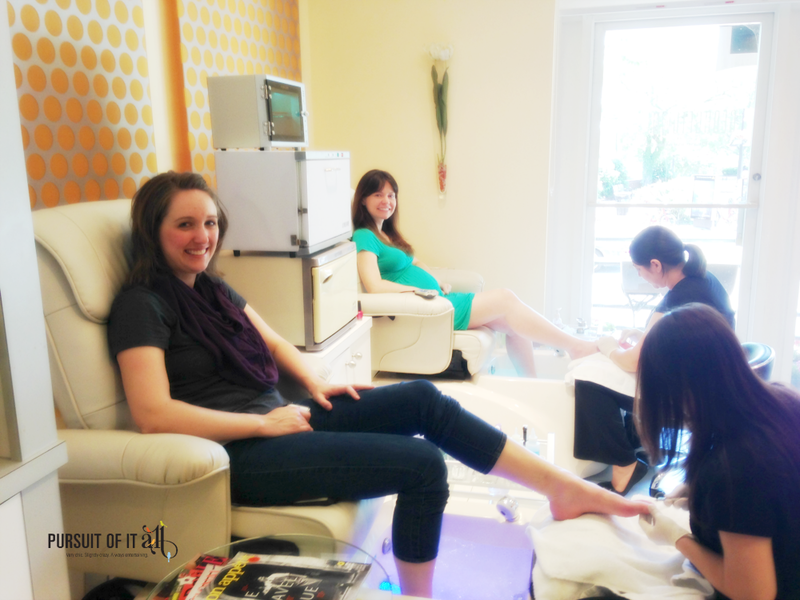 And, naturally, plenty of spas for manicures, pedicures, massages, facials – you name it! 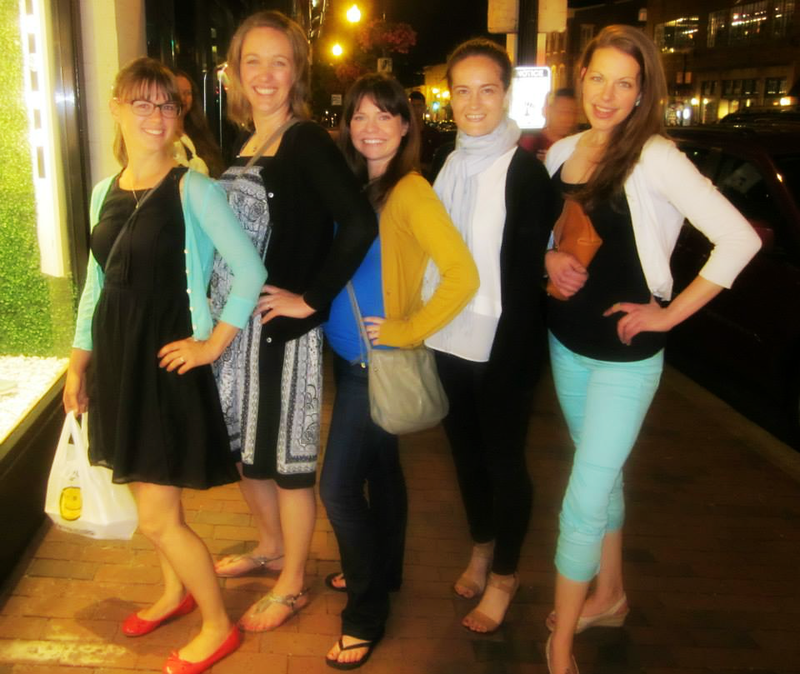 Instead of the usual pub crawl that many “bachelorette parties” find themselves doing, we wanted a weekend that was something fun and relaxing. Next up was a walk over to Pinstripes. Georgetown’s a highly walk-able city, and we spent a lot of time walking everywhere – hence the flats, flip-flops and sandals. Pinstripes is like no other bowling alley I’ve ever been to. It’s, dare I say, swanky. 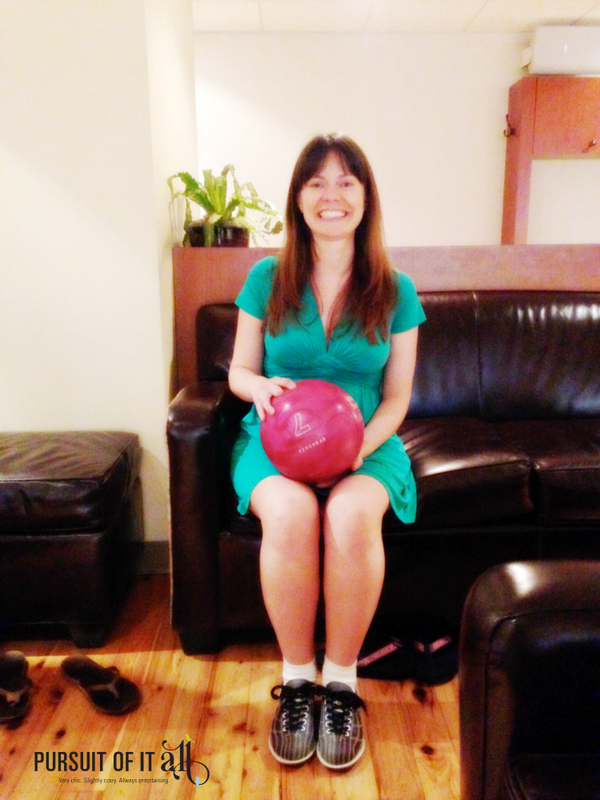 I mean, there are leather couches, bocce ball, BISTRO FOOD, beer and wine, and – of course – bowling. 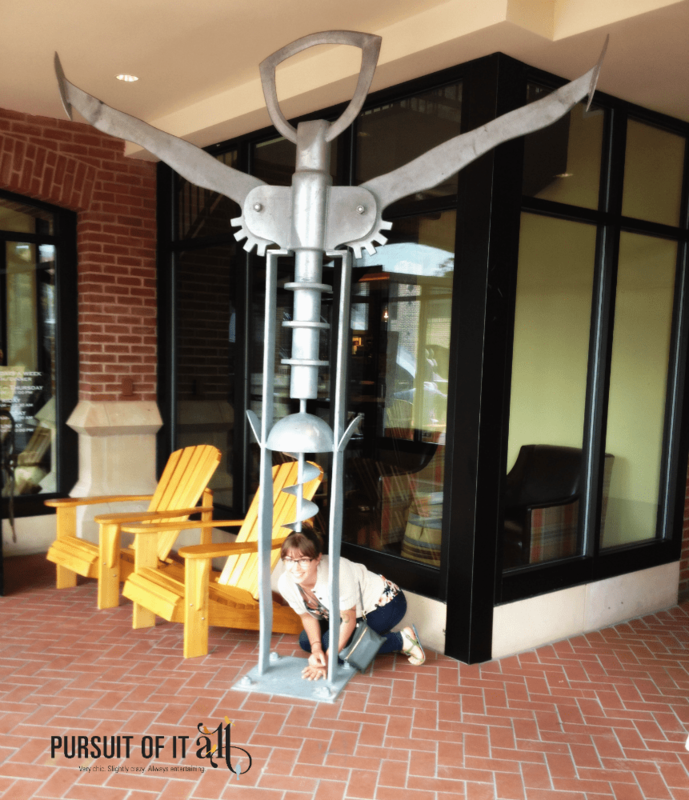 And a giant corkscrew sculpture out front. Because, of course. There are also a ton of great brunch spots in Georgetown! 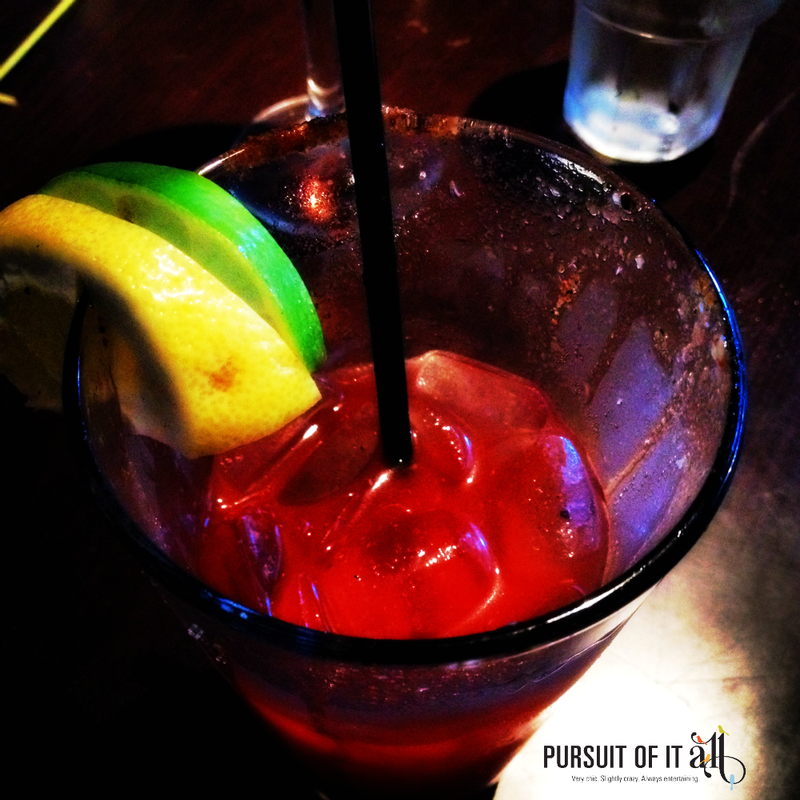 We landed at Level One, where I tried my first Bloody Mary (gasp!) and enjoyed shrimp and grits (something I have to get everywhere when it’s on the menu). The key to enjoying the Georgetown weekend getaway was doing a little homework up front for things like brunch and pedicure reservations. The other important thing was making sure we stayed in a hotel that was central to the spots we wanted to hit, so that we could park our cars and then promptly forget about them for a few days. 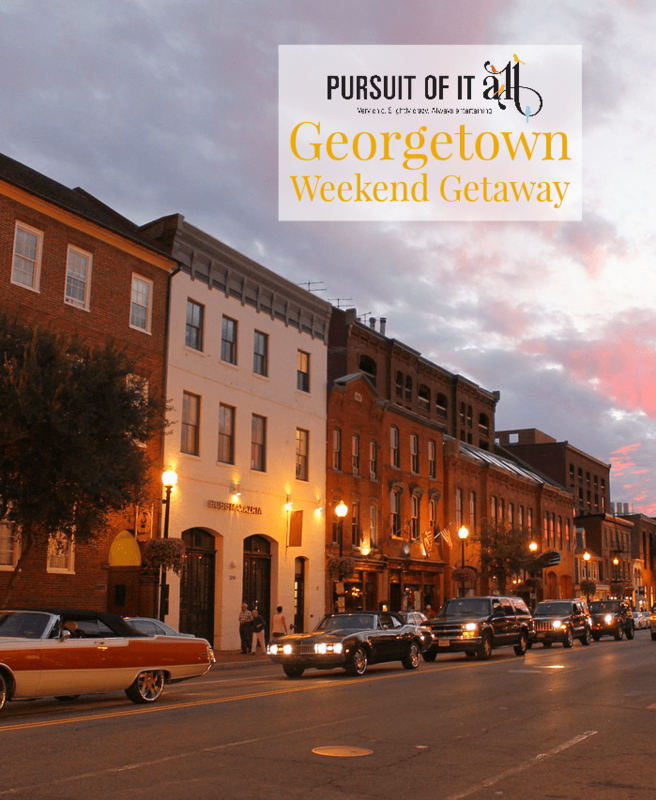 What’s your favorite thing to do in Georgetown? Looks like so much fun! What hotel did you stay in for the weekend? We stayed at the Washington Marriott Georgetown. So much fun!